How is everyone doing? 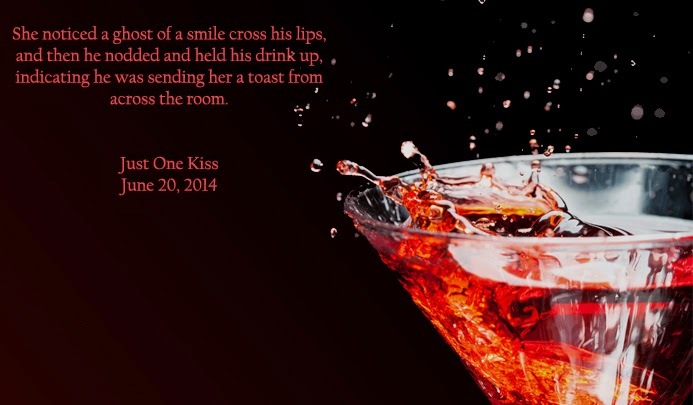 I'm finishing up on the final edits of Just One Kiss! I'm very eager to share it with you all so I decided to give you one last excerpt and one last teaser photo!!! As soon as she finished her drink, the bartender placed another in front of her. She looked up and smiled. Then she felt it. The feeling someone was watching her. The heat spiraled through her body. She turned and locked eyes with the most amazing pair of eyes she'd seen. She watched as those eyes slowly assessed her from head to toe, and then back up again. The way his eyes roamed over her body, she could have sworn his hands were actually caressing her. It was one of the most sensual experiences she’d ever had and he wasn’t even close enough to physically touch her. He tried not to squirm as he openly took in every inch of her. She took a moment to tear her eyes away from his gaze and examine the rest of him. Firm jaw, perfect mouth, close-cropped hair, and smooth auburn skin. Then she was drawn back to those eyes. Liquid pools of gold. She was mesmerized. She noticed a ghost of a smile cross his lips, and then he nodded and held his drink up, indicating he was sending her a toast from across the room. She barely registered the voice next to her. She watched those golden eyes, darken to a hazel. An odd look crossed his face. She shook her head. “I'm sorry what?” she asked, finally turning to acknowledge the man standing next to her. She quickly turned back to those eyes. “Come on.” She felt a slimy finger slide down her bare arm. Those eyes watching her from across the room darkened even further. He seemed to have a predatory scowl on his face. The man across the room drained the contents of his glass, and then stood. Cassandra had to force herself not to gape at how tall he was. She felt every nerve in her body go on high alert as she watched him saunter towards her. 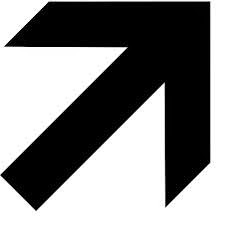 As he got closer, his lips tilted upward. He was up to something. And before she could speak, he leaned down and gave her the most mind-shattering kiss she'd ever felt. Before Cassandra had time to process what was happening the kiss was over. It took her a moment to get her bearings. Her mind was swimming with different feelings. There was the undeniable attraction she felt, but she there was more. Suddenly she felt an unspeakable anger rise up in her belly. She didn't give a flying flip how her body reacted to this man, she didn't know him from Adam and he had the nerve to come over and act like some gallant knight in shining armor. Well, she was no damsel in distress. She finished her martini in one large gulp and slid off the bar stool, without so much as a second glance to the man who'd been trying to get her to dance. She tried not to react to the touch of Mr. Shining Armor when he placed his hand on the small of her back to guide her out of the club. They got to the elevator and he pushed the button for them to go down. When it arrived, they stepped on together, along with several people, who got off on different stops. They were several floors above the lobby when they finally had the elevator to themselves. Cassandra remained silent, seething on the inside. As the bell dinged on the first floor before opening the man turned to her. And before he could finish, she hauled off and slapped him. Then she stormed out of the elevator, leaving the man shocked and rubbing his cheek. P.S.!!!!! You still have a few hours to enter my Covergasm Giveaway! Check it out in the Giveaway tab! Well, I'm off to my cave again!